← Rain (a bit)…at last. 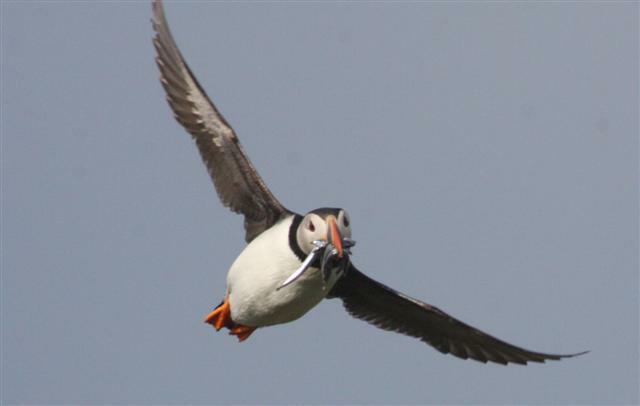 With puffin chicks hatching all over the island the adults are frantically bringing back loads of sandeels to get the chick to grow as fast as possible. 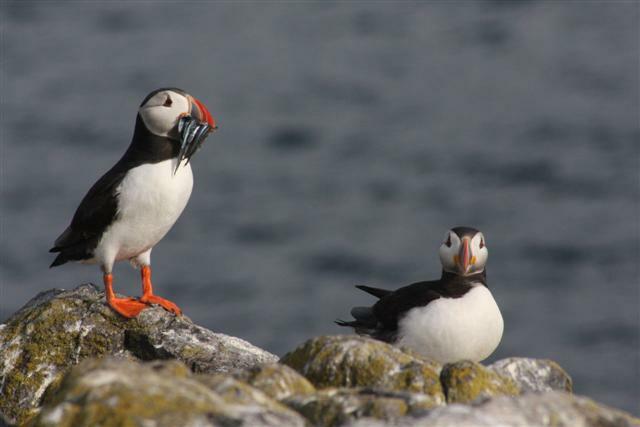 Over the last week more and more puffins are coming in with fish loads so the photographers are at last happy. 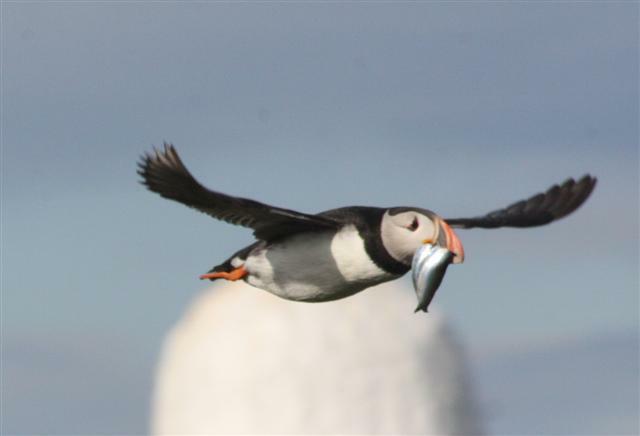 With the season being so late visitors were coming in the first week in June expecting to see puffins carrying fish but instead nothing was happening. 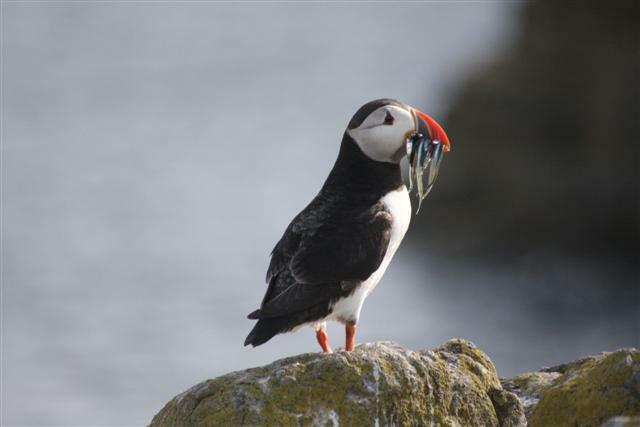 With the season running late this at least it means that there will still be chicks needing to be feed into August. But it isn’t that simple and it all depends on how long there continue to be good numbers of sandeels available to be caught. But so far so good anyway. 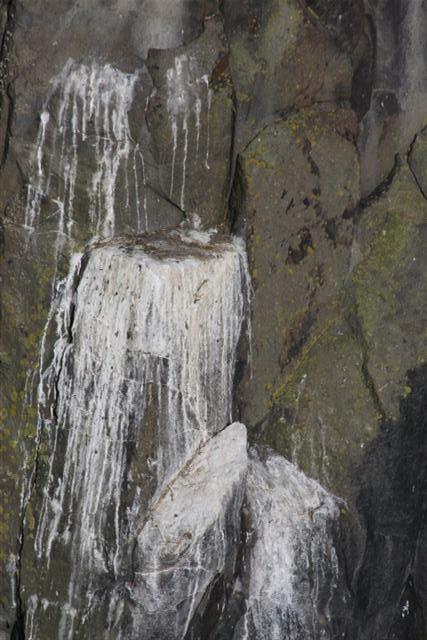 But it isn’t going well for all the birds. 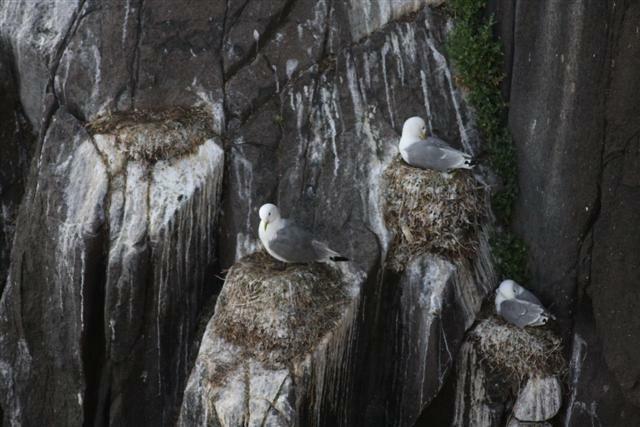 The kittiwakes have been very slow to get started and even now there are lots of kittiwake pairs that are either still nest building or are sitting on empty nests. 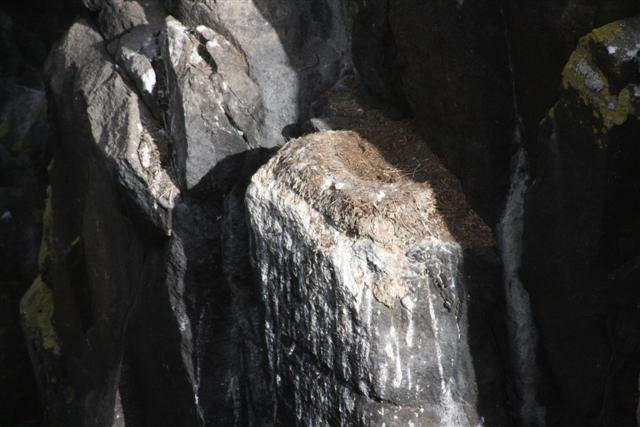 We don’t know why this is as the birds were back on the cliffs right at the start of the season but it might be that the kittiwakes are not finding the sandeels that the puffins are or that they came back to the island in poor condition after the bad winter and haven’t been able to get into the right condition to lay eggs. There are always winner and losers and the kittis haven’t been winning for a while. 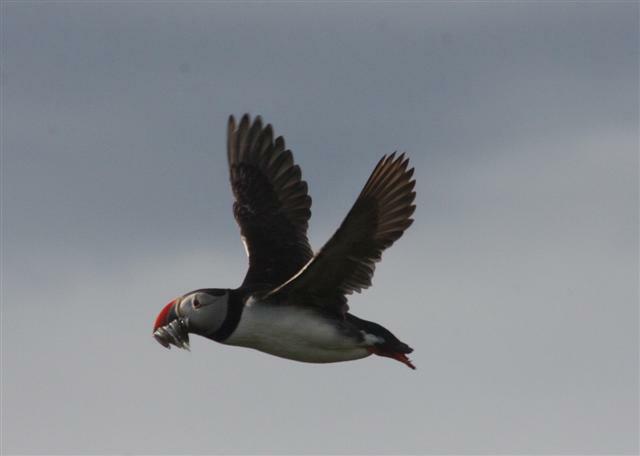 Their population on the May has dropped in the last 20 years from 8000 pairs to 2000 pairs and this season is a big disappointment after they had such a productive year last year. 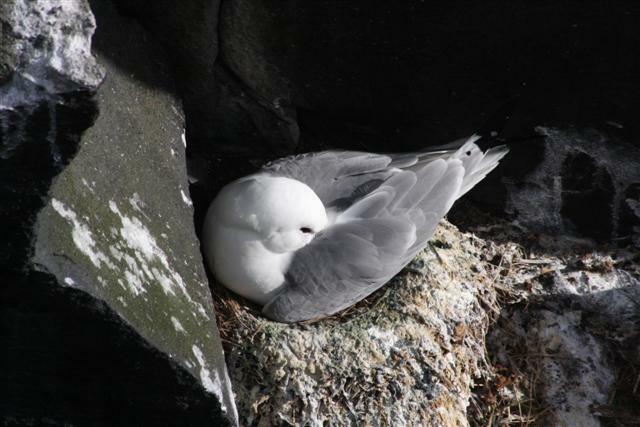 But these seabirds are amazingly tough and are in it for the long game so we have to hope that somehow the drop in population will turn around and future generations will be able to hear the kittiwakes call on the cliffs.